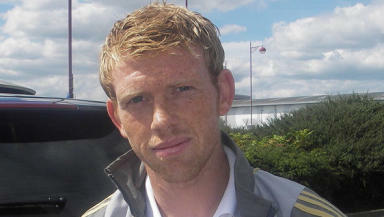 Derby County respond to transfer speculation by insisting Paul Green is going nowhere. Republic of Ireland international Paul Green, who has been the subject of reports linking him with a move to Celtic, is staying at Derby County, the English club has said. Neil Lennon saw Green play for his country in a recent friendly, prompting claims Celtic are readying a bid to bring the promising midfielder to the SPL. Green made his debut for Giovanni Trapattoni’s side as a substitute against Paraguay last month before scoring the opening goal against Algeria on his first start three days later. Derby have acknowledged that an impressive introduction to international footballer has raised interest in Green but say he is an important player they do not want to lose. "We are not surprised that Paul is the subject of media speculation, given his recent profile on the international stage with the Republic of Ireland," said a Derby spokesman. "However, Paul is an integral member of the manager's team for next season and beyond. "The manager regards him as one of his 'untouchables' and, of course, we support that stance wholeheartedly." Green is one of a number of players said to be on a list of Celtic targets drawn up by Lennon. The interim boss is expected to be named as permanent manager at Parkhead later this week and moves are already underway to strengthen the squad for next season. Hull City star Jimmy Bullard is thought to be on Lennon’s radar though reports that a one-year loan deal has already been agreed look to be wide of the mark. The capture of Stoke City winger, and Green’s Irish team-mate, Liam Lawrence looks more likely, with the player having expressed an interest in moving to Glasgow. Despite Derby’s “hands off” warning, a substantial bid may be enough to tempt the club into cashing in on Green. A figure of £1.5 million has been mentioned in the press but the Championship club have already said that it would take an “astronomical” bid to force them to consider selling defender Shaun Barker and they would be likely to hold out for a substantial fee if Celtic enquired about Green. The club also stated that as yet they had received no enquiries, formal or informal, for Green and would not welcome any.